Behind the scenes of the many artists and innovators flourishing beyond the bounds of intellectual property laws Intellectual property law, or IP law, is based on certain assumptions about creative behavior. The case for regulation assumes that creators have a fundamental legal right to prevent copying, and without this right they will under-invest in new work. But this premise fails to fully capture the reality of creative production. It ignores the range of powerful non-economic motivations that compel creativity, and it overlooks the capacity of creative industries for self-governance and innovative social and market responses to appropriation. This book reveals the on-the-ground practices of a range of creators and innovators. 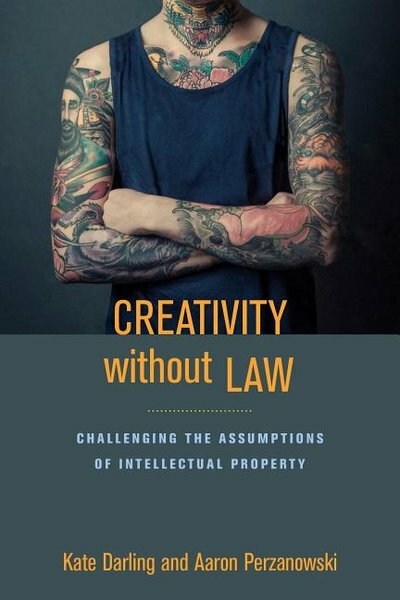 In doing so, it challenges intellectual property orthodoxy by showing that incentives for creative production often exist in the absence of, or in disregard for, formal legal protections. Instead, these communities rely on evolving social norms and market responses--sensitive to their particular cultural, competitive, and technological circumstances--to ensure creative incentives. From tattoo artists to medical researchers, Nigerian filmmakers to roller derby players, the communities illustrated in this book demonstrate that creativity can thrive without legal incentives, and perhaps more strikingly, that some creative communities prefer, and thrive, in environments defined by self-regulation rather than legal rules. Beyond their value as descriptions of specific industries and communities, the accounts collected here help to ground debates over IP policy in the empirical realities of the creative process. Their parallels and divergences also highlight the value of rules that are sensitive to the unique mix of conditions and motivations of particular industries and communities, rather than the monoculture of uniform regulation of the current IP system.